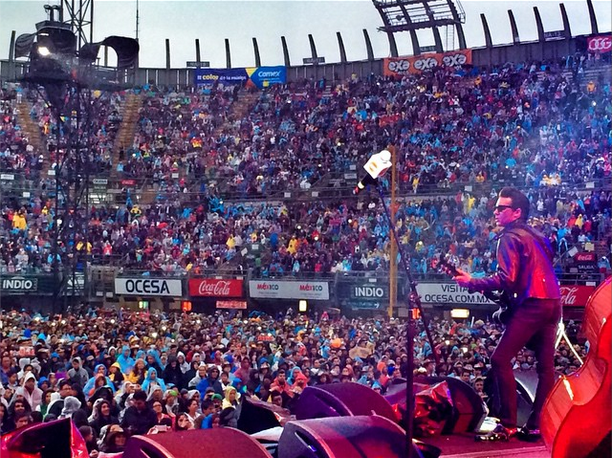 Drake Bell Making Massive Waves In Mexico! Drake Bell has been taking Mexico by storm! Drake recently performed at Exa FM’s “Concierto Exa 2014” in Mexico City for an audience more than 50,000 strong as his song “Bull” remains in the Top 10 on Mexican radio. Drake Bell is #5 on trending topics AND he has partnered with South America’s largest shoe manufacturer, Pan Am, to release his very own ‘Drake Bell’ shoe!